Despite being a very small country, Costa Rica has natural wonders that attract tourists from all over the world. Beaches, volcanoes, wild refuges and waterfalls are several of the attractions that can be enjoyed in the country, which makes this small piece of land a hidden treasure when talking about natural biodiversity. The perfect place for a well-deserved vacation. Costa Rica has some of the most paradisiacal beaches in the world. With infinite options, having more than 200 different beaches throughout the Pacific and Caribbean coast, white sand and transparent waters with warm temperature all year long make these beaches a desired destination for tourists, as well as fishing fanatics and surfers. Diving is a very common activity where you’ll be able to appreciate whales, sharks, turtles, giant rays, colorful fishes, and corals. Places like Tamarindo, Manuel Antonio, and Dominical are very popular in the Pacific. In the Caribbean we have Puerto Viejo, with its unique style attracts visitors to its beaches, and to get to know its music and its folklore. Sometimes referred to as a surrealistic experience, these beaches are surrounded by nature that makes its presence all the time. If you are more of a cooler weather and a fresh air person, the perfect choice lies in the mountains. Costa Rica has a rain forest that represents 2% of the world’s natural biodiversity, with more than 800 types of birds, mammals, reptiles, and amphibians. Active volcanoes, such as the Arenal, are perfect for a ride on the slopes of the volcano or to relax in the hot springs. For those who love adrenaline, you can rappel in one of the many waterfalls in the country or explore the jungle in a canopy ride in the best Tarzan style, satisfying all your expectations. With more than 11 Conservation Areas, walking through the forest is the perfect method to appreciate the flora and fauna of the National Territory without any problem. Breathing fresh air, listening to nature and having wide open eyes for the fantastic creatures that appear on the trails is one of the most magical tours this beautiful country has to offer. Costa Rica has two seasons, the dry (December to April) and the rainy or green season (April-November). Although these two seasons are not well defined, characteristic of a tropical country, rains arrive unannounced and it is quite common to feel the breeze during the afternoon and nights. If what you want is to enjoy full-time sun you are better off coming during the dry season. With temperatures ranging between 26-30 degrees, it is ideal for vacationing, cooling off in the sea, or chilling with coconut water under the shade of a palm tree. Being located between North America and South America, Costa Rica serves as a migratory route for different types of animals, from birds to whales. In any activity, nature will be present making this experience unforgettable. The climate, its spectacular beaches, and friendly people with its ‘Pura Vida!’ make Costa Rica the perfect place to vacation. Four years have passed, four years of anxiously waiting to celebrate this soccer party that paralyzes the entire planet. The 2018 World Cup is already here! but thousands of fans will be warmed up with their passion, their joy, and the love for their country or the one of preference. A worldwide spectacle worth watching. Although Costa Rica is located more than 12,000km away from the host country, the feeling is strong and the passion is evident. Whats the atmosphere here? A party all month long. People go to work with flags and their team​ ​jersey, restaurants and bars are always full and the transmission of the games is a must,​families and friends gather eagerly to see “La Sele” (Costa Rican team nickname), commercial centers install big screens and offer promotions for spectators to watch the games, on the corner of the street you’ll find people selling flags and t-shirts of different countries, motivating to encourage the national team. The past world cup Brazil’s 2014, was a new but unforgettable experience for “Ticos”. An extraordinary performance by the tricolor team unleashed the madness of the 5 million Costa Ricans since the selection was first of the so-called “Group of Death”. Winning to previous world champions like Uruguay, Italy, and England. 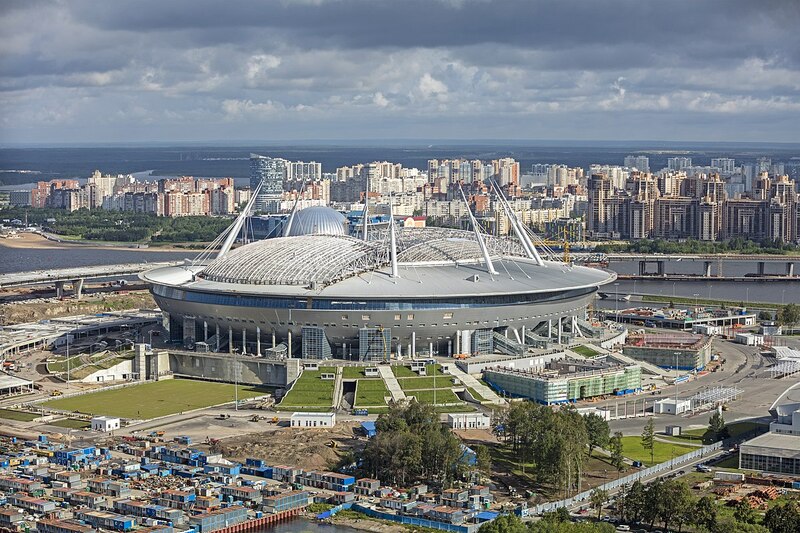 But the deed wasn’t over yet… During the round of 16, the national team faced Greece winning in penalties. A game where the heart beat faster within each minute, a game with a drama that not even a script by Steven Spielberg could surpass it. The madness in the country was unimaginable, hundreds of thousands of people gathered celebrating at the Fuente de la Hispanidad, a historic roundabout with a water fountain on its center. Creating an image for the history that comes. A country that was criticized by everyone, with negative comments during the first rounds, with no faith in them, a country able to win to the giants. An unimaginable situation for this passionate country. Costa Rica was worldwide news during this World Cup, and Keylor Navas was able to win his transfer to Real Madrid, actually known as one of the best goalkeepers in the Europe League. Unfortunately, Costa Rica was eliminated by the Netherlands in the quarterfinals, also by penalties. But that defeat did not leave any merit to the national team that was received as heroes on their return to our country. The airport was full, people with flags and banners waiting for the players, the ones that made this dream possible. For this 2018 World Cup, looks are on the Costa Rican team after the great role played in the previous edition. Costa Rica shares group with Switzerland, Serbia and one of the favorites to be crowned as champion, Brazil. It is hoped that with the help of Keylor Navas “La Sele” will be able to emulate what was achieved four years ago and thus be able to leave the country high. Soccer is one of the sports that generate the most passion in the world, and Costa Rica is not the exception. It unites people, it unites a country. A month where every Tico or foreign is able to celebrate and be proud of the country where they live. Tthousands of Ticos will follow the National Team during the three matches of the group stage and so will the “Pura Vida” be present in Russian lands. 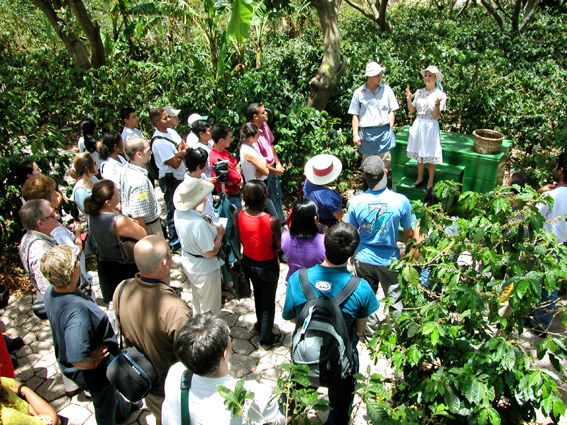 Last Tuesday, June 5, Costa Rica celebrated the World Environment Day in a very special way. The new president, Carlos Alvarado, made a great decision: He signed a directive to regulate single-use plastic within the public sector. He established that the public sector, including sodas or restaurants hired and affiliated, must eliminate the use, purchase, and consumption of single-use plastic and thus lean towards compostable products. As an initiative, the government must provide alternative, biodegradable, compostable and renewable materials to replace the plastic ones. In addition, schools and public entities should receive education to know the damage that these materials causes and create consciousness. Single-use plastic refers to utensils that are used only once or a few minutes and then disposed of improperly and remain in the environment for several years creating more damage than helping in its useful life. Examples of these harmful elements include straws, bags, bottles, disposable covers, cups, among others. Several initiatives for the protection of the environment and the reduction and good disposal of garbage has increased in recent years. During 2017 the Osa canton, in the South Pacific part of Costa Rica, implemented a similar campaign in which they proposed the detachment of single-use plastic. They began to look for alternative materials and replaced plastic with sugar cane fibers, roots, bamboo, cloth bags, products made of starches; all elements that can be found in the Central Market, San José. In 2018, Costa Rica was also introduced to Ecocolones. 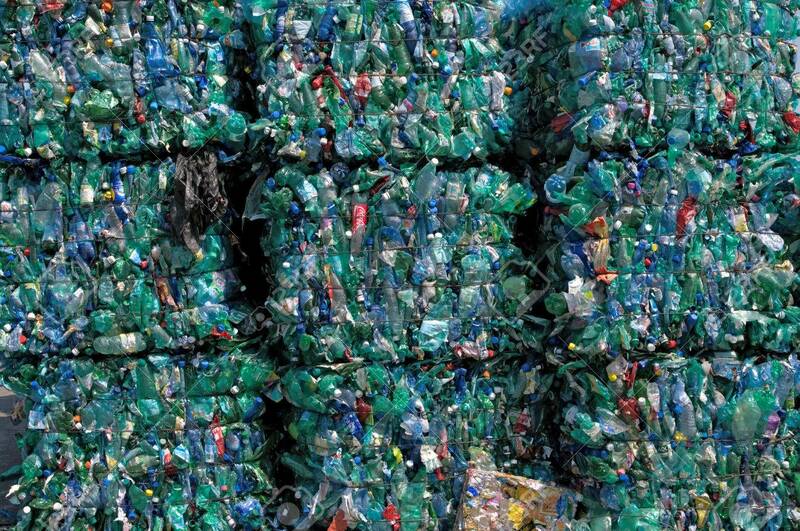 An amazing project where recycling gives you immediate benefits. It consists of talking recyclable materials to a designated center and in exchange, you receive virtual money, called Ecolones, that can be spent in certain goods and experiences. It is a new program with the objective to incentive people to recycle which will lead to creating a more sustainable environment and culture. Single-use plastic grew with society and each time we find a new use for it, but the detachment has to start. Plastic gets accumulated in the coasts of our country, closing mouths of rivers and killing hundreds of animals per year. Turtles get straws stuck in their nostrils and confuse plastic with food, as do dolphins. Animals get trapped in the packaging of beers or suffocate with bags. Costa Rica has more than 34 national parks and protected areas, but it is up to people to make a change. It is the responsibility of tourists, foreigners, and locals, of families that enjoy a day at the beach or the mountains of clean after themselves. We must create awareness and a clean culture to take care of our beautiful planet as the famous Leonardo Dicaprio says it ” Clean air, water, and a livable climate are inalienable human rights. And solving this crisis is not a question of politics, it is a question of our own survival.” We have to address the forces that are threatening our planet. We need to manifest change in the next years. 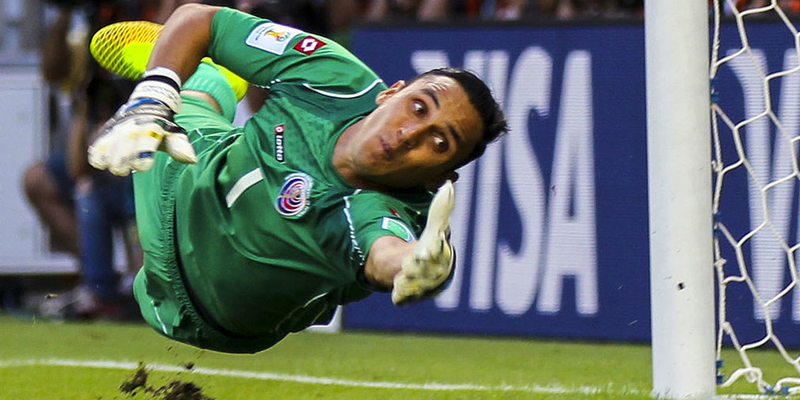 When talking about sports news in Costa Rica, it is practically impossible not to mention the name of Keylor Navas. Especially after last Saturday, where he got his third Champions League cup and eleventh trophy with Real Madrid of Spain, thus becoming one of the most winning goalkeepers of that competition and in the Merengue team. Like most soccer players worldwide, Keylor comes from a humble neighborhood called Perez Zeledon, a canton in the south of the country belonging to the main city, San Jose. His first team was called the Deportiva Escuela de Futbol Integral de Pedregoso (ADEFIP). A soccer school in the area where he took his first steps. Scouts saw talent on him so he decided to move to San Jose to play with Deportivo Saprissa, one of the main soccer teams in Costa Rica. Not an easy decision, since he had a family to leave behind. After several years and many titles with Saprissa, Navas gave the jump to Europe. He moved to Spain where the Albacete team opened the doors and Keylor ended the season as the best player. That same season, the Albacete lost the category and now Levante U.D. saw an opportunity to have Navas on their team. His brilliant interventions and acrobatic stops made possible for Kaylor to quickly consolidate as the starting goalkeeper and thus play the 2014 World Cup with Costa Rica. His performance in Brazil, venue of this World Cup, was extravagant. The team made it to quarterfinals for the second time since 1990, with Keylor as their goal-keeper making this achievement possible. He played in the best way, winning the prize for the best goalkeeper of the event which called the attention of tons of soccer clubs worldwide. Real Madrid finally bough Kaylor Navas, and in 2018 he is now ranked as one of the best goalkeepers in Europe. The dream of every child who has ever played soccer had been fulfilled by a humble child of Perez Zeledon. The Keylor-mania has reached such a point that in 2014 alone, more than 40 children were registered under the name of Keylor and the sales of the goalie’s shirts shot up all over the country. Of course, a hard-working, humble and down-to-earth man seems to be the perfect recipe for success and Keylor proves it year after year game after game. This summer, Keylor and the men’s football team are on the verge of making history again, this time at the 2018 World Cup in Russia. Where the eyes of the world will be focused on the Costa Rica of Navas, especially with the hope of overcoming the role of the previous World Cup where they reached the quarterfinals, a historic event for both national football and CONCACAF.